Life is sweet and so are these adorable designed paper pieces! Download them for free through October 31 and use them as cupcake flags or to wrap small chocolates and give the gift of sweet. 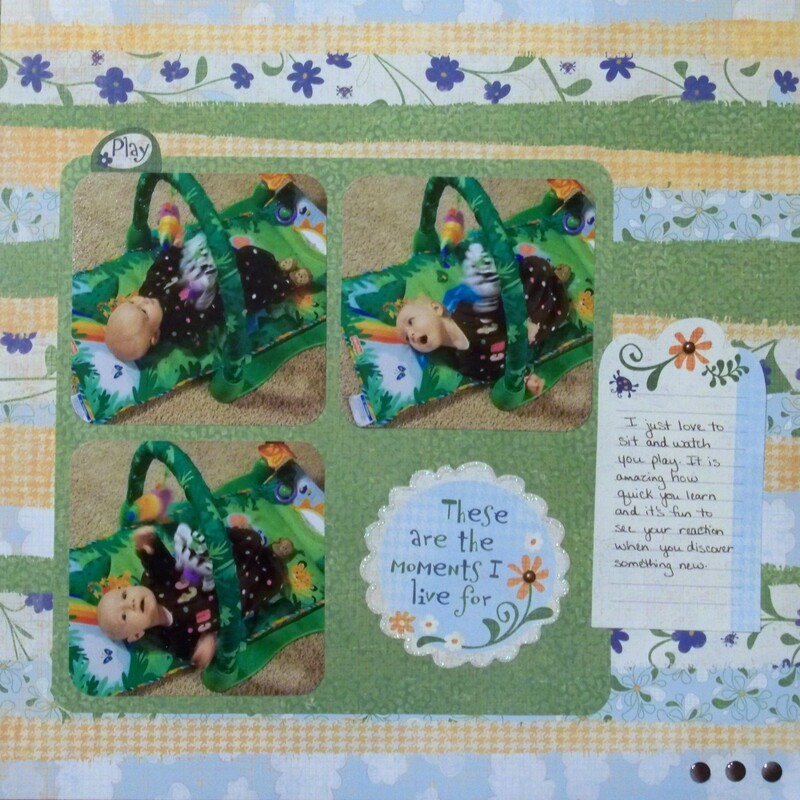 Welcome to the December 2011 Close to My Heart Spotlight Blog Hop! This month we are featuring My Stickease (some currently on sale on my website). I just love these cardstock stickers by Close to My Heart. You can use them as is for a great looking layout that you can create in no time or you can add to them as I have done below. This blog hop is a circle so if you are just starting, continue until you make your way back here. If you are coming from Carol’s Blog, you are on the right track! Supplies used are all Close to My Heart: Splendor Paper Packet, Splendor My Stickease, Liquid Glass, Stardust Glitter Glitz, and Brads Metal Assortment. 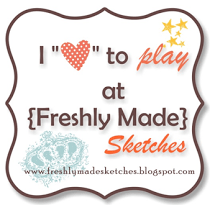 My Stickease are a quick way to create a fabulous layout. To add some extra pizzazz to my layout I added antique brads to the flower centers, Glitter Glitz to border my title, and Liquid Glass to the “brads” in the lower right corner. This layout can be filed this under the “30 minutes or less” category! I used the 8 1/2 x 11 horizontal Dec. 2011 Page Map as inspiration. Thanks for stopping by! Your next stop is Haley’s Blog! 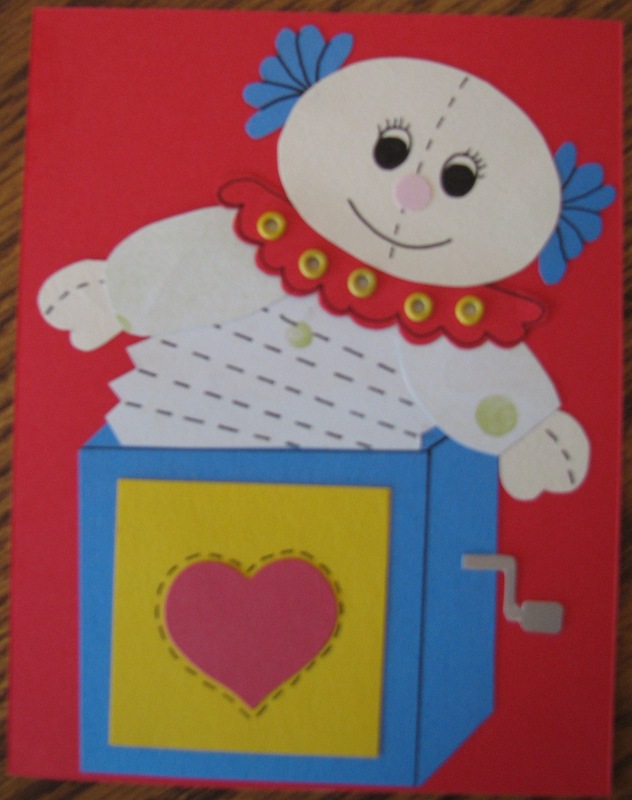 I made this cute jack-in-the-box paper piecing for a swap. I have girls and tend to use pink on most of my layouts so this never got used. You can see below how I used it to make a card. The paper piecing is very detailed so it was really all I needed and it’s a great kid’s card.